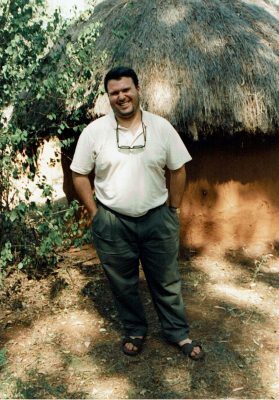 In part XII of the world series, we travel back to the continent of Africa, this time with author Rick Hodges; we talk about his visits to Kenya and his new novel To Follow Elephants (Stormbird Press, March 2019). Stick around, because this summer we will return to Africa and talk about another story set in the Niger Delta. To Follow Elephants is an enchanting coming-of-age story that switches among its main characters to build a breathtaking journey involving a young elephant, a teenager from the United States traveling to Kenya to look for his imprisoned father, and a young Kenyan woman studying wild elephants. Rick Hodges’ remarkable debut novel left me longing to visit the dry season of East Africa, where wild elephants, among other wildlife, freely migrate and are a part of the scenery and life of many people. Hodges’ soft prose-like chapters flip through the perspectives of a few individuals, but my favorite is the elephants growing older and learning about First Grandmother. On his 18th birthday, young American Owen Dorner travels to Africa to meet his father for the first time. Plunged into the corrupt underworld of Colonel Mubego, a conniving prison warden and former revolutionary fighter, Owen seeks friendship amongst unlikely allies and finds meaning in the world of elephants. Biologist Wanjeri Mubego, the colonel’s niece who is happier among the wildlife in her native Kenya than with people, helps Owen discover the truth about his father, Karl. A U.S. Army captain, Karl Dorner has lived in a dusty African prison cell since Owen was a small boy. Could Karl, accused of helping a local rebellion, be a hero, and not a traitor? But when Karl escapes from prison, Wanjeri helps Owen find the truth about his father—and unveils her own family’s secrets—as a young elephant learns the ways of the world from his herd’s matriarch. 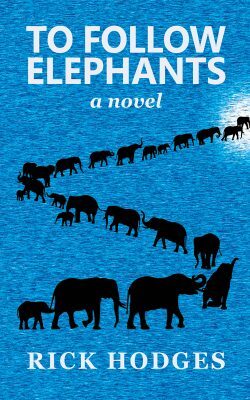 In a moving portrayal of elephant civilization, parallel tales of intrigue and survival unfold, masterfully enriching our understanding of what it means to be human. I was happy to talk with Rick about the birth of this novel and his travel in Kenya. What I learned was haunting in some ways but uplifting in others. Mary: Can you explain to readers your time in East Africa and what you experienced there that inspired your novel? 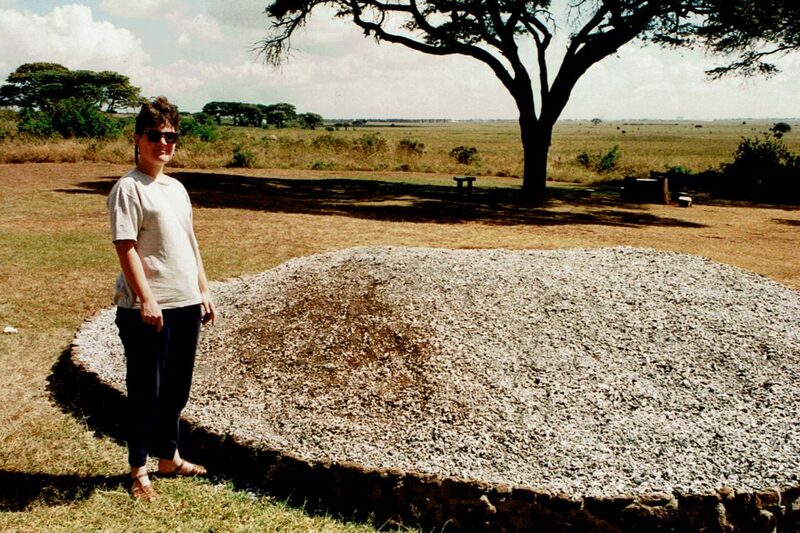 Rick: Many years ago, my wife and I traveled to Kenya and Tanzania. She had traveled a bit, but I had never been overseas, so I figured I would make the most of it and go somewhere exotic and exciting the first time. The immersion in a very different place affected me, and when I returned, the story in my novel, peppered with the details I had observed, took shape. To Follow Elephants roughly tracks our itinerary in Africa and contains some specific scenes from our trip. Many of the themes in the book also come directly from my experience on this journey, such as the wonder of seeing wildlife up close, observing animals co-existing with people in a way I rarely see in the United States, the mixture of wonder and anxiety of suddenly dropping into such a different place from my secure world at home and the sense of being among, rather than above, wild animals and their world. Mary: I noticed in To Follow Elephants, your characters come of age, in the sense that they learn to let go of fears (some of them extreme) and notice the bigger world around them, including the natural world. Can you talk about this? Rick: Owen’s struggle with anxiety has its roots in my own culture shock caused by picking such a different place to go in the world for my first foreign trip, and my own general anxiety issues. One good technique for dealing with anxiety, whether justified by the events at hand or an overreaction, is to distance yourself from the here and now and switch to the big picture. You can look out into the distance and see the mountains or the sky and stabilize your viewpoint, much like you might do on a rocking boat to steady a queasy stomach. The larger landscape of the natural world feels more eternal, fixed, steady. It was there when you were born and it will be there after you die. The elephants feel that deep connection to the land, too, because they believe they sprouted from the soil, and they even consume soil and touch and feel the bones of their dead as the bones become soil again. It’s something bigger than they are that gives them comfort and confidence, like a parent, or God, or First Grandmother. This is how I began to imagine the story that became the book—I looked outside at the landscape and conjured something larger than the immediate reality around me. I drew energy, if you will, from the natural world and rolled it up into a story with more excitement and meaning. The people in my story seek the same kind of grounding, whether they realize it or not. On the bus ride, Owen seeks to calm his rising anxiety by looking out toward the horizon and seeing all the people and animals and trees and mountains and sky he sees. They’re all calm, not bothered by his immediate reality, and he borrows from that. Wanjeri has her own issues rooted in being unsure of her place in her family and the world. Her struggle is with other people, and she retreats to the world of elephants. She does the same kind of musing when she is on the safari about how she is lucky to live in such an amazing, important natural place that infuses her life with value beyond her daily existence and frayed family relationships. The elephants sense that Wanjeri watches them to learn from them, since they are, naturally, superior beings to humans and have more knowledge. And they are on to something. Wanjeri would probably be happier as an elephant, and she wishes she had life all figured out like they seem to. When she finally completes the process of doing what’s right and making a choice of where she stands, Wanjeri has the option of going out and living with elephants in the wild forever (and perhaps she does). 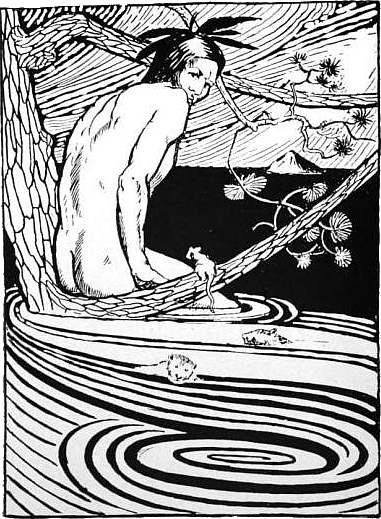 Owen’s anxiety is driven by separation from his father, much like people create anxiety as they build cities around themselves and separate from the natural world. There is scientific research supporting the idea that people need exposure to nature for mental, and even physical, health. It is like a nutrient, and we we are not getting enough of it. As part of relieving his anxiety, Owen goes on a quest to reunite with his father just as the elephants go to the soil. For the elephants, the soil is literally a nutrient, but also the substance they believe they sprung from, so it is a spiritual nutrient as well. Mary: Your book beautifully portrays elephants and gives them dignity. Yet, many are endangered. Have you seen this first-hand? What has your research shown? Rick: Yes, they are, and it’s sad and frustrating. 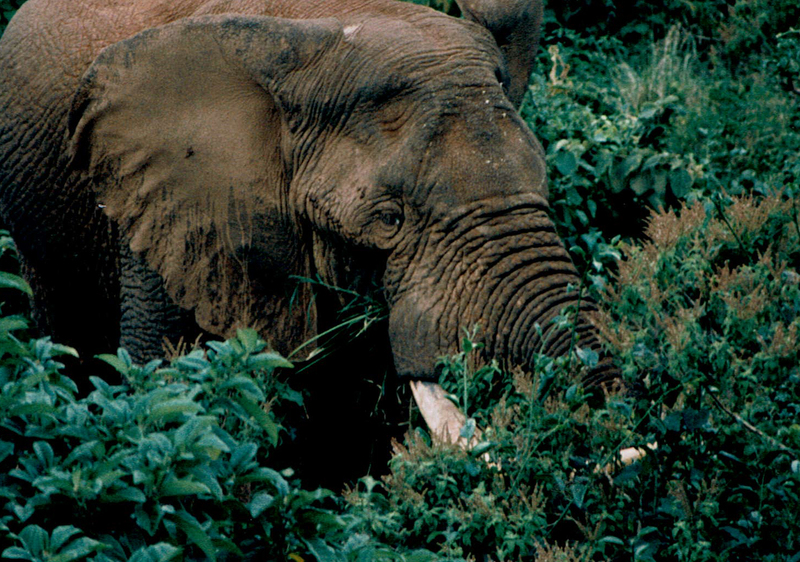 We went to Africa in part to see things that might disappear soon. I wanted to convey a deep sense of caring and respect for elephants in my book. But I believe that too much negativity can depress people or turn them off, making them shut down instead. I didn’t focus on the threats to elephants; rather, I showed how they are fascinating, dignified, intelligent, sensitive, caring, loyal and strong–characteristics we admire in people. We can identify with them and their struggles, especially when we hear them “talking” to each other like people, as they do in To Follow Elephants. By revealing the internal thoughts and beliefs of elephants to the reader and depicting them as similar to ours, right down to their creation myths, I wanted to foster a feeling of kinship with them. My wife, Elenor, has a background in environmental science and education and runs an environmental non-profit group, and I’ve learned from her about the principle of starting with the positive. Instead of a hard sell—”The animals are dying!”—it works better to say “Isn’t this animal fascinating and beautiful?” first. That approach is more likely to bring a deep caring. I saw that sort of outlook in Barbara Kingsolver’s Prodigal Summer and modeled my book on that. Once someone has a lasting affinity for something, a threat to the thing they love makes them angry and feel empowered to help. I want my readers to feel dismayed by endangerment of elephants, but to turn that anger into action instead of despair. Mary: I agree that turning despair into positive action is a great outcome. I learned that you are a beekeeper and have an affinity for the natural world. What kinds of things do you do outside of writing? Rick: Actually, I used to keep bees, as a teenager. I was stung many times, which is part of the job, until one day one of my bees stung me and I ended up in the hospital in anaphylactic shock. I had developed a bee sting allergy. That was the end of my beekeeping career. But they stayed with me. Honeybees are amazing. They have a complex social structure that involves specialization–different bees do different jobs–sophisticated forms of communication and construction, and communal living. They’re just insects, but they create their world around themselves. A beehive is like a city. Learning about bees knocks homo sapiens down a peg. Maybe we’re not as special as we think. Wanjeri muses about that when she talks to Owen at the tusk memorial. She tells Owen her thoughts about how evolution isn’t a straight line and humanity may share the top of the tree of life with other species…including elephants. As for other things l do, well, I write all day for my job, which means I know how to sit and write, but sometimes I’ve had enough for the day and can’t sustain it at night when I write fiction. I try to do interesting things as best I can while living a fairly standard life with a wife and two kids. I’ve performed in an improv comedy troupe. I’ve home-brewed beer. I wrote a stage play and, when it was performed, I experienced the magical moment where I forgot that I had created the characters on stage. I came up with an idea for a federal law to allow people with disabilities to save money like others can, and with lots of help, got it passed into law. Did I mention beer? I try to incorporate the outdoors into everyday life when I can. I commute to work by bicycle when the weather is nice. I build all kinds of whimsical decks and furniture and in my backyard, which I’ve landscaped entirely with native plants. Being outdoors is always either a thrill or a source of peace, depending on what I need at the time. It connects me with space and time far beyond my own life. I am privileged to have the ability to sense that by going inward as well as outward without having to travel all the way to places like Africa. I find fascination in even the smallest of natural things as close as my own backyard. Mary: What are your thoughts in writing fiction that combines the human story with the animal story? While there are particular genres for this, such as eco-fiction, what if every story did this? Rick: There are pitfalls to avoid when writing this way. If the animals sound hokey or juvenile in adult fiction, it could turn readers off. My elephants speak in a sort of noble, formal language that distinguishes them. It’s a little like the version of English that many Africans speak–more formal and British than American English. My elephants also never speak to humans. After all, they don’t in reality either. The dialogue is among elephants only, and elephants and people are both left to only wonder about what the others are thinking. I loved Watership Down and read it several times as a kid. That’s the book that gave me the confidence to speak in the voice of animals. Ultimately, though, animals are characters like any other, and require the same process of writing as human characters. Any story could do it, and wouldn’t it be great if they did? Stories about animals don’t just introduce new characters, they bring entirely new worlds they inhabit–their home, their way of life, their social structure, their challenges. Writing about animals brings great freedom for an author, much like science fiction or fantasy does. Of course, my book has human and animal characters with different worlds that intersect and influence each other. I blurred the artificial barrier between people and nature, and not just by comparing elephants in parallel. Wanjeri’s longing for freedom among elephants, her rare ability to learn knowledge from them the way the elephants believe isn’t possible for people, father and then son’s connection with the bull elephant through the prison window, Wanjeri and Owen following the herd as if they were part of it–those are times when a sort of portal between the two worlds opens and reminds us that we were once as much animals as any other. In any event, I think my approach of incorporating animals as characters helped to achieve one of my goals–writing an eco-fiction novel for people who don’t yet know they like eco-fiction. Mary: Are you working on anything else at the moment? Rick: The ideas never stop coming, but my best is going to be my next novel. I’m working on a story about a fictional town in coastal Virginia where white and black people lived in harmony and intermarried, their extreme isolation allowing them to avoid the poison of racism that prevailed elsewhere and to live off the land and sea, almost as a part of it, for a century. That all changes, though, when a young minister comes to the town and introduces some new and unsettling ideas about how they live, and spurs a personal tragedy that sends the town on a path of decline and destruction. I am drawing heavily from my knowledge of the natural world (and Virginia’s racial history) I developed growing up on the Virginia coast. I was inspired by a real ghost town on the coast that now consists of nothing more than a few gravestones a few feet from the sand dunes. Mary: Please keep in touch and let me know when your new novel is out. I have a personal affinity for the South and also write and think about my time there a lot. Thank you so much for sharing your story here, Rick. Rick Hodges is a writer and author whose written works are as diverse as his life experiences. Rick enjoys a deep appreciation for the natural world on a simple, introspective level, informed as much by digging in the dirt as a child or beekeeping as a teenager as by travels to great landscapes. A voyage to East Africa, and the experience of seeing how people lived in tandem with wildlife, inspired To Follow Elephants. Rick drew on his experience as a working writer and journalist in Washington, DC, to craft his novel. Aside from his 9-to-5 writing, Rick has produced works including short stories, a nonfiction instructional book for high school students about the Muslim world, and a stage play. He wrote his play, Three Generations of Imbeciles, based on a 1927 court case from his home state of Virginia that cleared the way for involuntary sterilization of people with disabilities. Rick’s wife Elenor is executive director of a local environmental organization and inspired him to work for a time as a grant writer for The Wilderness Society. A super interview with such a passionate author. Love the photos.